Get a taste for Philadelphia’s local craft brewery culture on this small-group walking tour during happy hour! Soak up the lively atmosphere as you walk to three bars tailored to the group’s vibe. Sample a full-sized beer at each place, enjoy a delicious snack and learn all about the local bar scene from your friendly guide. Meet across from Philadelphia's City Hall in the evening and soak up the buzzing atmosphere as people conclude their work day. Like many of them, you’ll head to your first happy hour destination. With your guide, choose three bars to fit the group’s interests, preferences and vibe. For instance, you can head to an Irish pub with a local flare or visit the oldest continuously operating bar in the city, dating back to 1860, where the beer is crafted just steps away from your table. Some of the places you may visit include Philadelphia Brewing Company, Victory, Yards, Troegs, Flying Fish, Sly Fox, Dogfish Head, Nodding Head and Dock Street Brewing Company. Your guide will tell you about the history of each bar you visit, and explain the culture of this city’s craft breweries. One full-sized beer at each bar is included, as well as small appetizers. 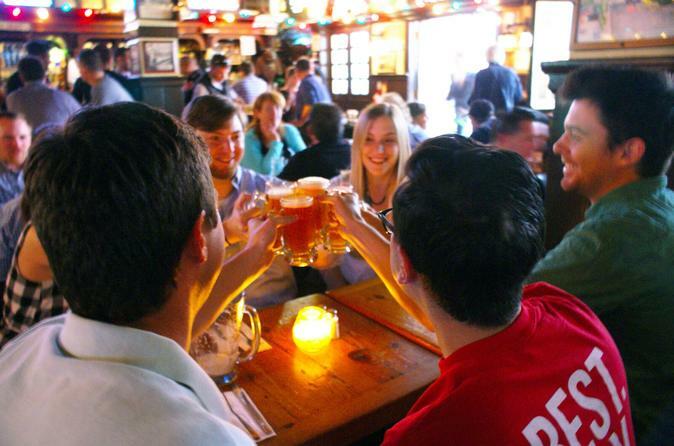 After happy hour, end your beer tour at Rittenhouse Square, a perfect location for you to continue your beer journey or grab some dinner on your own.